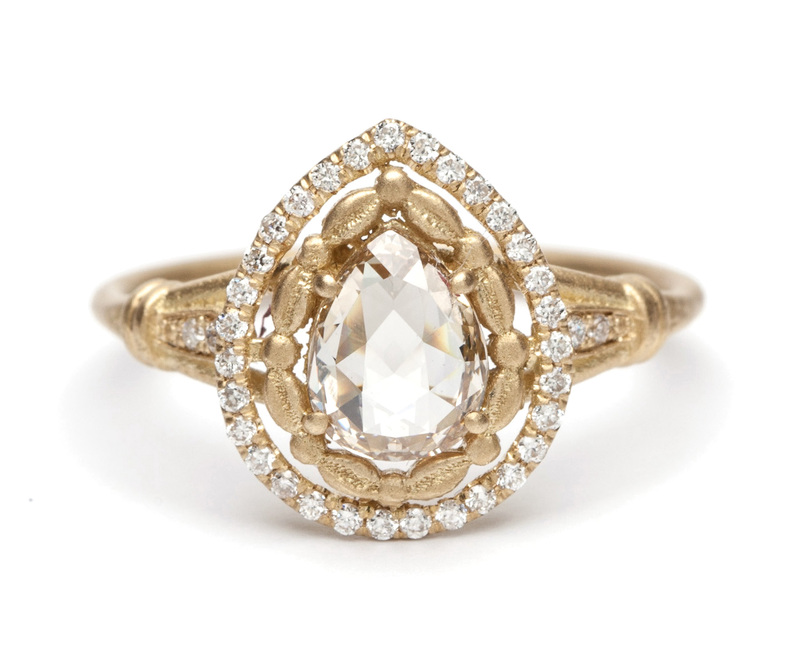 Pear shaped gems are a new-found favorite cut achieving popularity with many of our brides. We find ourselves equally charmed by the pear shape for a number of reasons. We love the fact that pear shaped engagement rings appear to lengthen the finger, and due to their proportions and weight distribution, they often provide a greater amount of surface coverage as compared to their actual weight. But, perhaps their romantic history is what makes them the preferred alternative shape diamond choice for a vintage-inspired bride. 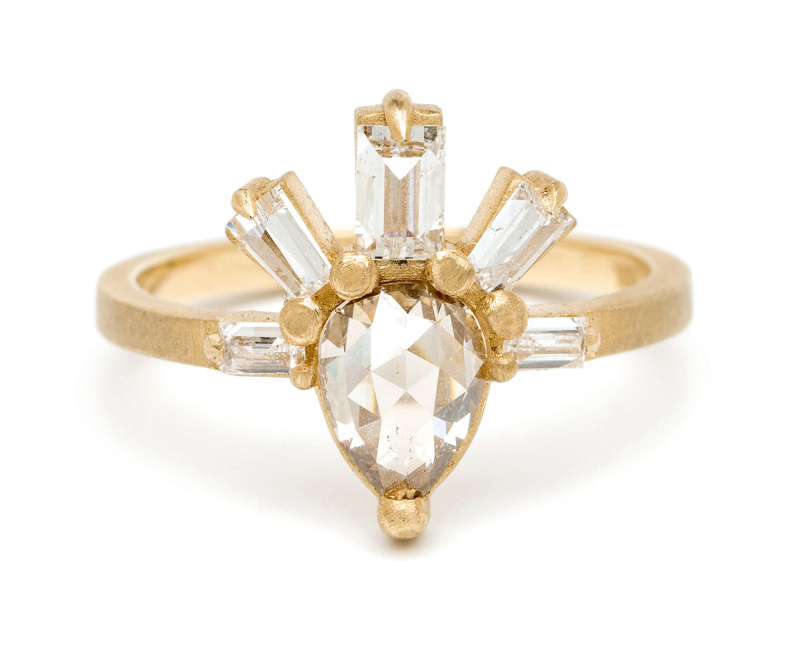 The pear cut emerged as an early symbol of the heart shape, explaining why it has long been found in betrothal and wedding rings. The pear shaped “heart” is sometimes seen in jewelry in twos, symbolizing the love between a couple. Sometimes the hearts are different gems, or gems in opposing directions, or both. 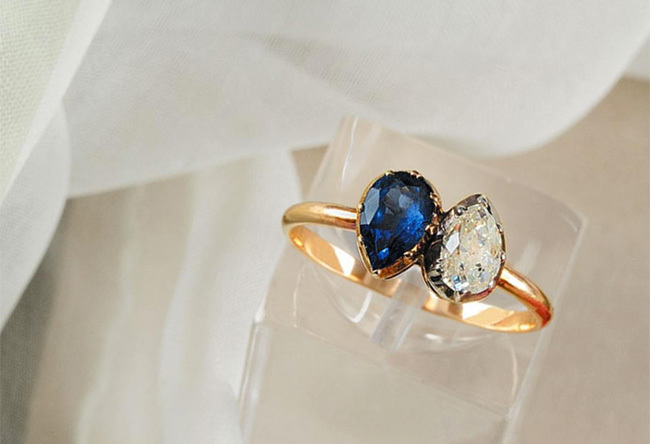 One of our favorite examples of this is the ring Napoleon gave Josephine, with two pear shapes, one sapphire, one diamond. 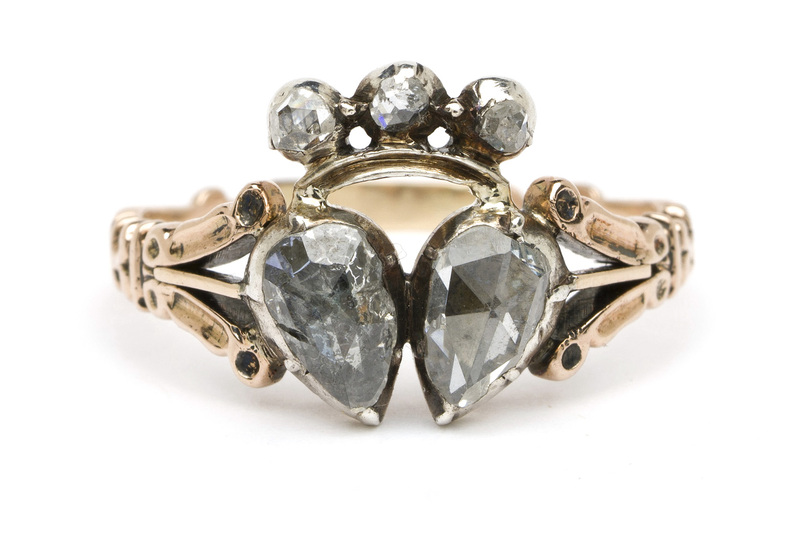 This particular type of ring, with two opposing stones is also referred to as a “moi et toi” or “me and you” design. In Georgian times, we often see the pear shaped heart shown crowned, further signifying loyalty between lovers. However you incorporate your pear shape stone: as a single heart, hearts united or crowned, we love the continued use of this shape in our contemporary engagement ring designs, as a nod to its romantic past and an appreciation of its timeless beauty!